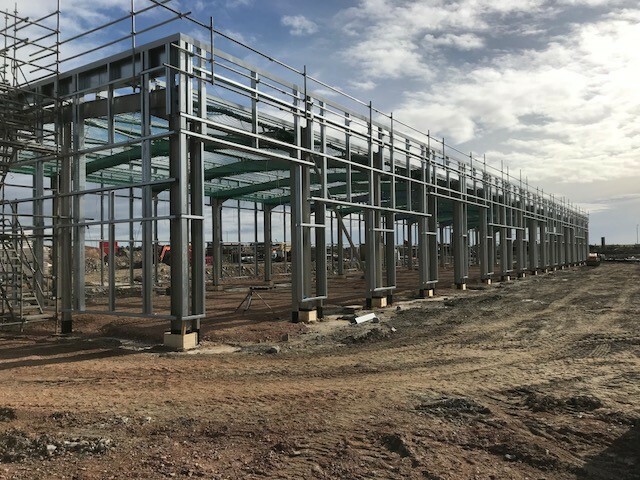 These starter units are located in the Portlethen area and are comprised of two ‘blocks’ that will provide 19 individual units. One block measures 76m long and the other measures 105m long both structures were built simultaneously and both incorporate the fitting of parapet features and MR wall panelling. This project required approx. 100 tons steel and 4500m2 roof and wall cladding.